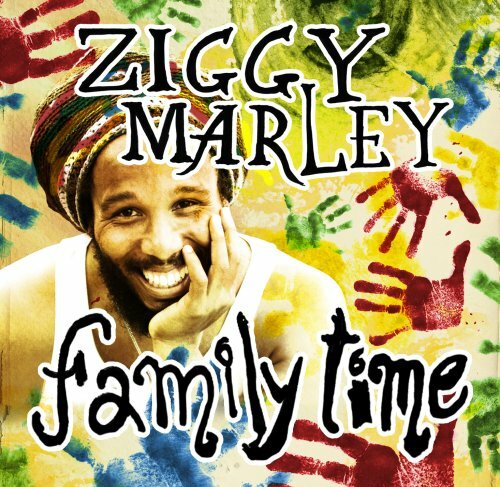 I didn’t have much use for Ziggy Marley when he was riding high (ahem) on the charts 20 years ago, with the hacky sack anthem “Tomorrow People,” and nothing I’ve heard from him since then has changed my mind — until now, that is: for his new children’s album, Family Time, Marley has pulled out all the stops, assembling an Ocean’s Eleven-style dream team including some major names both within kids’ entertainment (Elizabeth Mitchell, Jamie Lee Curtis, the dreaded Laurie Berkner) and without (Jack Johnson, Toots Hibbert, Willie Nelson, Paul Simon). The result is a wonderfully easy listen that’s a lot more cohesive than you might think, given the succession of cameos — and if you, like me, have never given Marley much thought, it proves unexpectedly entertaining as well. Ultimately, the album is a rather slight affair, but then, you get the feeling that’s exactly what Marley was aiming for — an amiable, uncomplicated good time for children of all ages. Call it an unqualified success, then, and prepare for Family Time to last a good, long while in your household. This entry was posted in Music and tagged CD Review, Cedella Marley, Family Time, Jack Johnson, Jamie Lee Curtis, Jeff Giles, Laurie Berkner, Paul Simon, Tuff Gong, Willie Nelson, Ziggy Marley on May 7, 2009 by Jeff Giles. Lucky Diaz – Made In L.A.